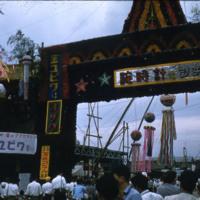 Tanabata (meaning "Evening of the seventh"), also known as the Star Festival, is a Japanese festival originating from the Chinese Qixi Festival. 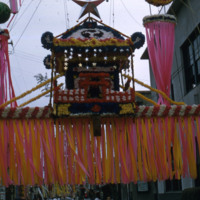 It celebrates the meeting of the deities Orihime and Hikoboshi (represented by the stars Vega and Altair respectively). 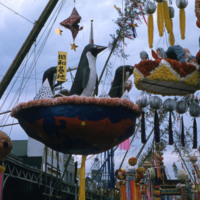 In the legend, Orihime and Hikoboshi are separated from each other at all times by the Milky Way except for once a year on the seventh day of the seventh lunar month. The reason for this is because Orihime, a gifted weaver, and Hikoboshi, a hard-working cow herder, began to neglect their duties upon being wed. 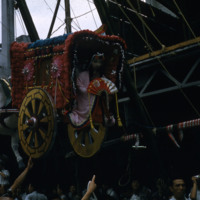 The couple incurred the wrath of the bride’s father Tentei, the emperor of heaven, and were exiled to separate ends of the Milky Way. 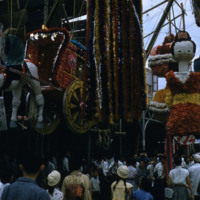 They are granted a meeting each July 7 (according to the lunar calendar) so long as they both diligently fulfill their celestial obligations during the other days of the year. However, if it were to rain, the river would flood and the two would not be able to see each other (the Milky Way functions as the Heavenly River). Therefore, the two always pray for good weather and if they meet successfully, then everyone who makes a wish on that day would have their wishes come true. 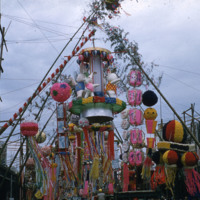 The timing of tanabata celebrations varies by region. 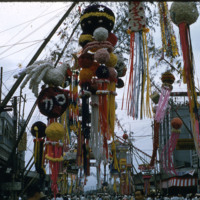 Japan adopted the Gregorian calendar in 1872, placing the holiday on July 7. 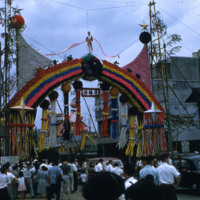 However, many areas still rely on traditional reckoning to schedule festivities, with observances normally falling sometime in August. 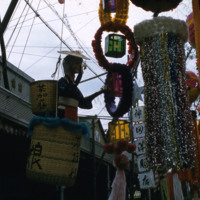 Children and adults write wishes on strips of colored paper, called tanzaku, which they then hang on bamboo branches, sometimes along with other paper ornaments. 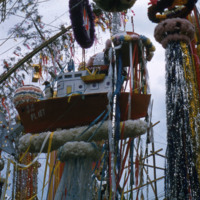 The bamboo and decorations are often set afloat on a river or burned after the festival, around midnight or on the next day. 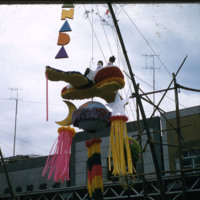 This resembles the custom of floating paper ships and candles on rivers during Obon. 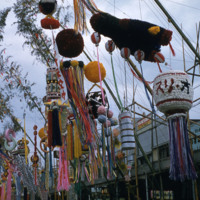 Many areas in Japan have their own Tanabata customs, which are mostly related to local Obon traditions. Chita and the Romance of the Milky Way by Lafcadio Hearn, BiblioBazaar, 2008.